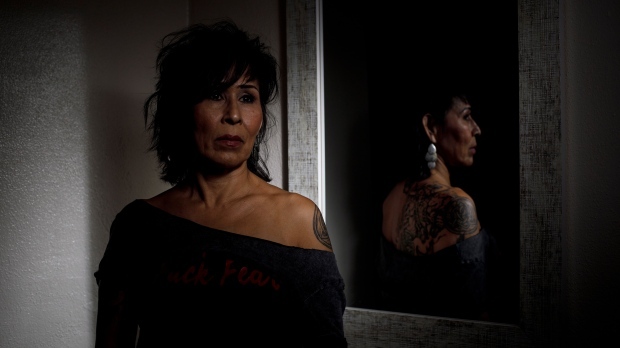 OTTAWA — Indigenous women are probably not the only ones who have been coerced into being sterilized without wanting to be, an assistant deputy minister at Health Canada told the House of Commons’ health committee Thursday. Abby Hoffman stressed that she did not want to suggest anything about the scale of the issue, but also said it’s not hard to imagine a woman with an addiction or a mental illness agreeing to be sterilized after being presented with the option in a way that didn’t get her genuine informed consent. “At the end of the day what may have seemed to the provider as consent might not in reality have been consent as one would think consent should be managed,” Hoffman testified. Hoffman — a trailblazer in women’s sport and four-time Olympian who is now in charge of Health Canada’s strategic policy branch — joined officials from three departments to testify before the health committee over recent reports on Indigenous women who say they were pressured during childbirth into having tubal ligations. MPs also passed a motion on Thursday to report on the issue to the House of Commons, after two additional days of witness testimony. Closely examining the magnitude of the problem has been a concern for advocacy organizations and MPs, including NDP health critic Don Davies. He said in an interview he believes Canada is at the “very cusp” of uncovering serious human-rights abuses affecting women who are vulnerable for numerous reasons, including those who are Indigenous, those who live with disabilities and those who have low incomes. In December, Health Minister Ginette Petitpas Taylor and then Indigenous-services minister Jane Philpott wrote a letter to the provinces, territories and members of the medical community proposing a working group to examine cultural competence in health — the attitudes and skills that doctors and nurses and other medical workers use to work with people from different backgrounds — while they also cited reports of women being sterilized against their will. Hoffman told the health committee Thursday that a number of provinces have responded to the call. The first meeting is to be in early March, she said. The ministers’ letter went out after the United Nations Committee Against Torture told Canada to stop the “extensive forced or coerced sterilization” of Indigenous women and girls — a finding that prompted calls for federal action by human-rights groups and Davies’ New Democrats. Sarah Kennell, the director of government relations for Action Canada for Sexual Health and Rights, said the discussion needs to focus squarely on the issue of consent. The UN Committee Against Torture told Canada it had a year to report on progress on coerced sterilization of Indigenous women, she said, adding that the committee hearing is welcome but a mere first step. Boyer has also requested an examination be conducted by the Senate human-rights committee.